Mother’s day is a day to say Thank You to all the wonderful mothers in our lives and we all know that the best thing you can give a person is the gift of treats and sweets! 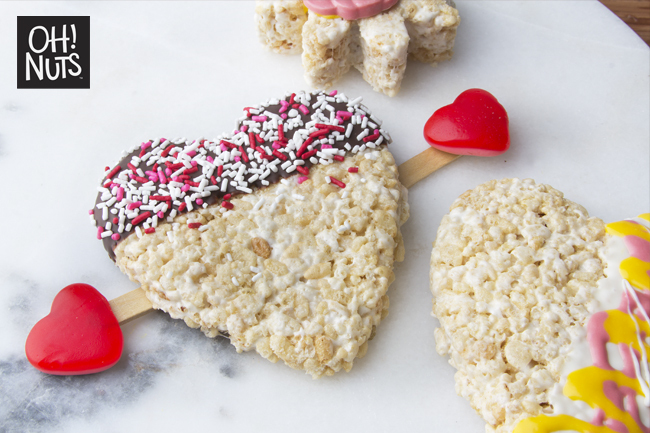 The traditional and loved by all rice crispy treats are easy to make and are so sweet it will make any Mother’s day better. 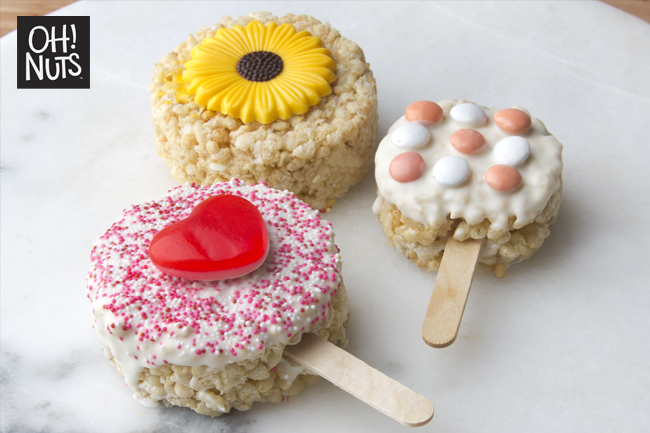 This treat can be done with your young kids as it requires no baking and a lot of creativity. Here are the ingredients you might need. Remember that you can substitute any milk chocolate to parve and vise versa. 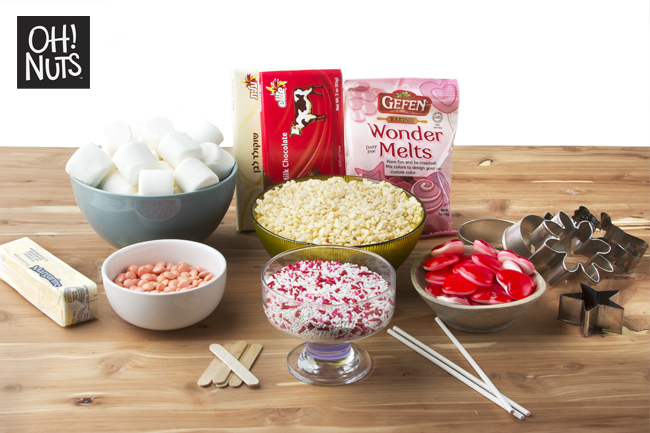 You can be creative with your toppings and decorations. First step will be to get our marshmallow and margarine melted together. This will be the base for our treat. 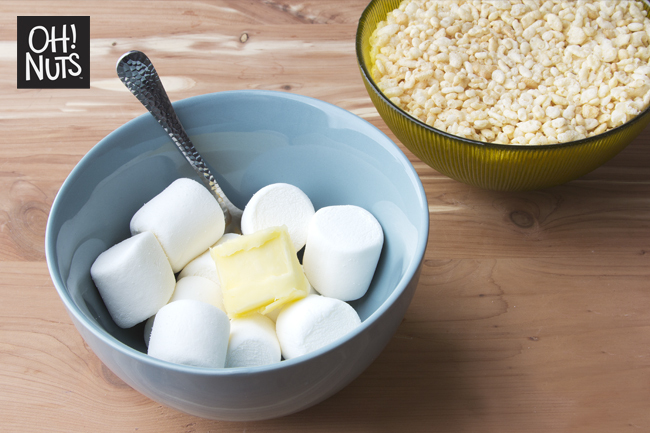 In a microwave safe dish/bowl add marshmallows and a cube of butter. Melt for approx. 20 second, or until marshmallow is melted. Make sure not to burn the marshmallow. 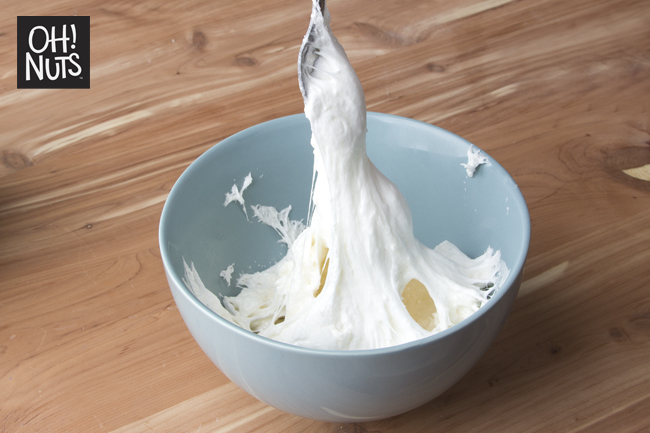 Once out of the microwave, quickly stir butter and marshmallow together until a creamy sticky paste. 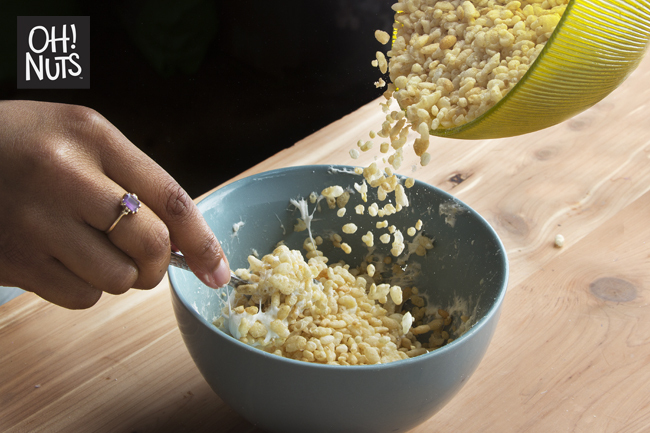 Next, quickly add your rice cereal to the mixture, blending all the ingredients together. 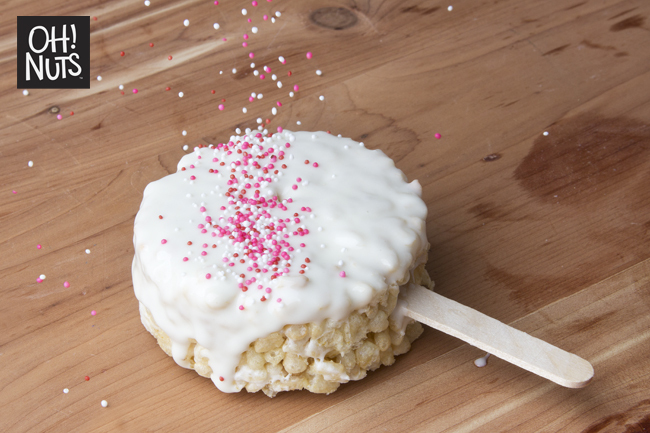 Add rice crispy’s as needed or until the mixture feels firm and easy to mold. Once your mixture is ready , you can grab any type of mold, cookie cutter shape or container you wish to use in order to create your shape. 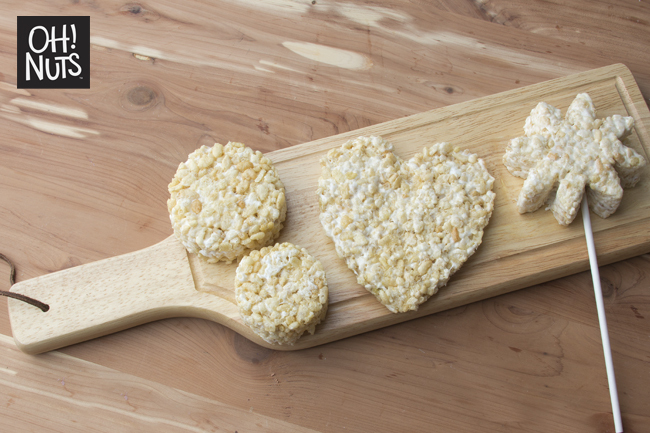 You can use your hands and make a custom shape, or a cookie cutter for a clean and easy look. 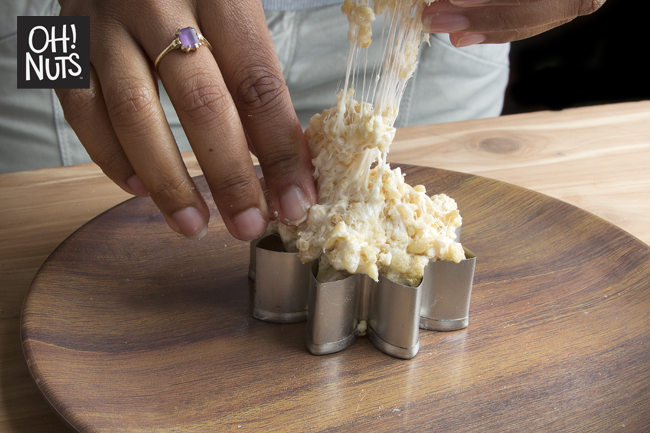 Press the mixture into the mold making sure you apply enough pressure to make sure it is firm and bound together. If using a mold, remember to put the mixture in the tips of the mold to maintain the shape. After molding, you can put your shapes in the fridge for a minute or two to help the mixture firm before taking it out. 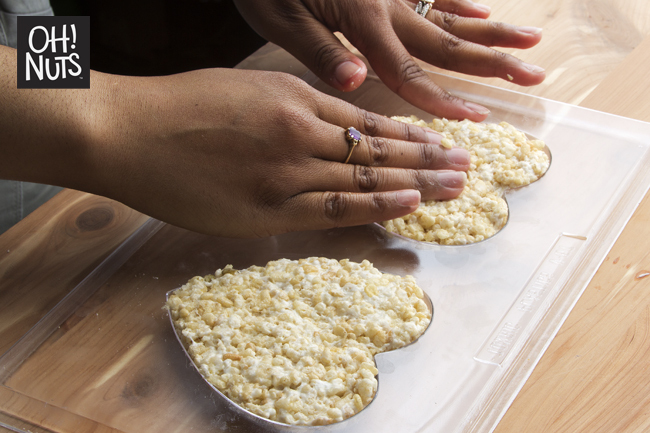 Carefully push the treat out of the mold, making sure to press from all sides in an even way to maintain its shape. Put aside all the shapes until you are ready to mold. 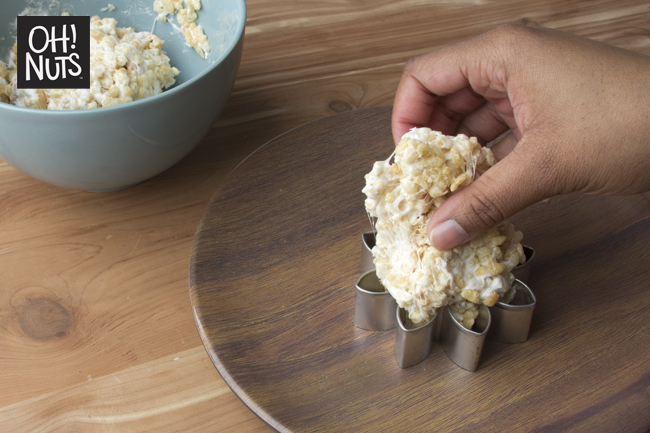 If you want to make rice crepes pops, this would be a good time to add your stick by pushing it gently in to the shape. Now it is time for the fun stuff! It’s decorating time. 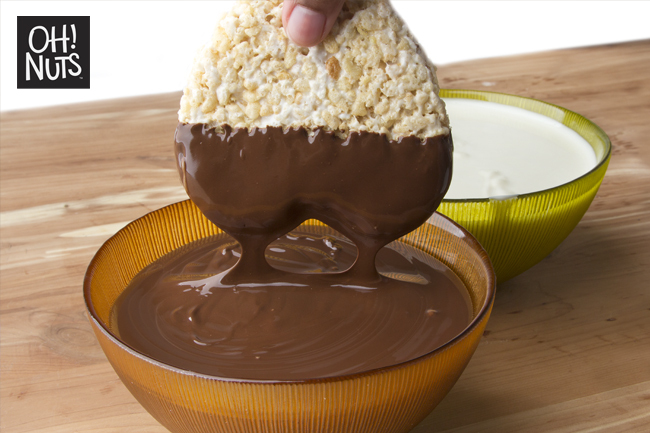 First you will want to melt all your chocolate. The chocolate bars we recommend to temper it. 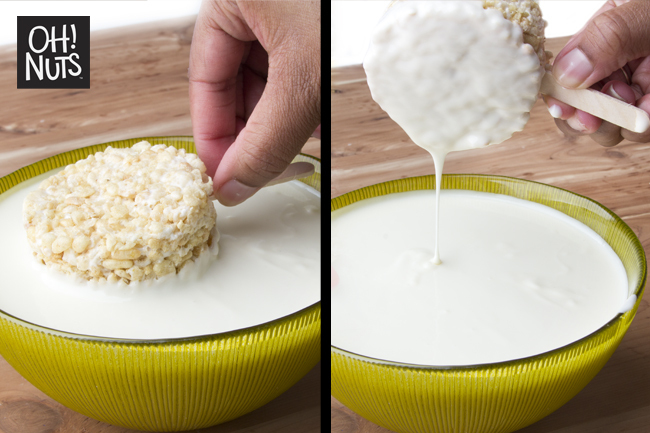 To do so you need to use the “Double boiler method” by putting it in a glass bowl above a pot full of boiling water and stir continuously. This process with both melt your chocolate and will also make your chocolate easy to work with and have a beautiful shine once it cools. The chocolate wafers you can melt by putting in the microwave and following the instructions on the bag. 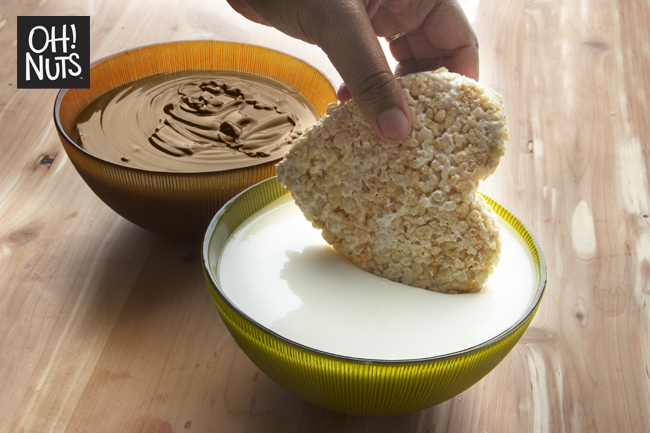 Dip your treats in chocolate. 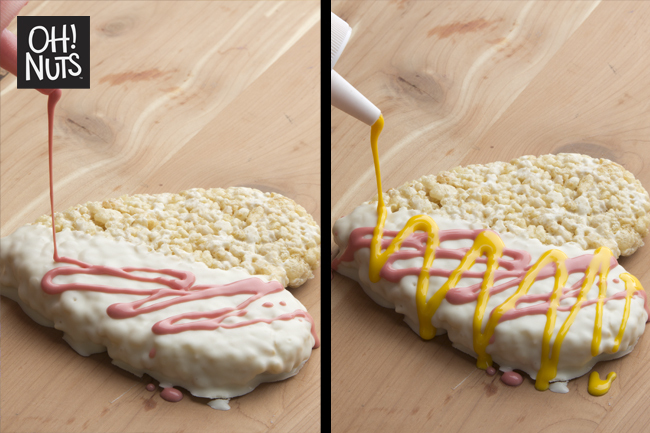 Now decorate – you can chocolate drizzle, add sprinkles, decorate with candy, chocolate lentils and much more. You can use our decorations as inspiration or you can decorate according to taste. Now all you have to do is let it all cool down. We recommend not in the fridge as it might make the treat lose its crispiness, let air dray until chocolate is firm to the touch. 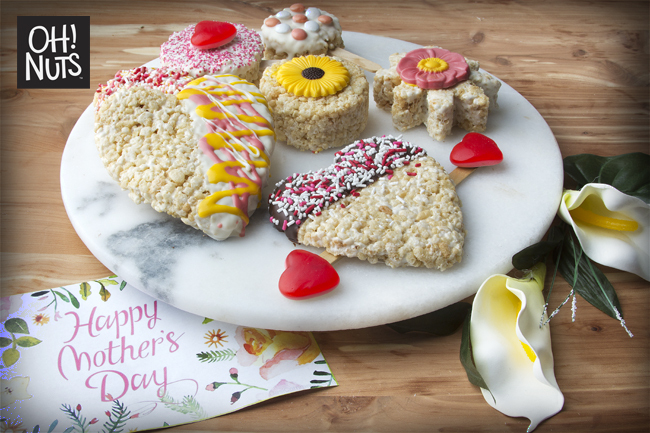 You are ready to surprise your Mother with these heart warming and mouth watering treats that are guarantee to show her just how much you love her!